Martin sells some of the most expensive acoustic guitars on the market today. If you have been yearning to get your hands on a Martin guitar but do not want to spend more than a thousand dollars, you still have options; in fact, a lot of them. 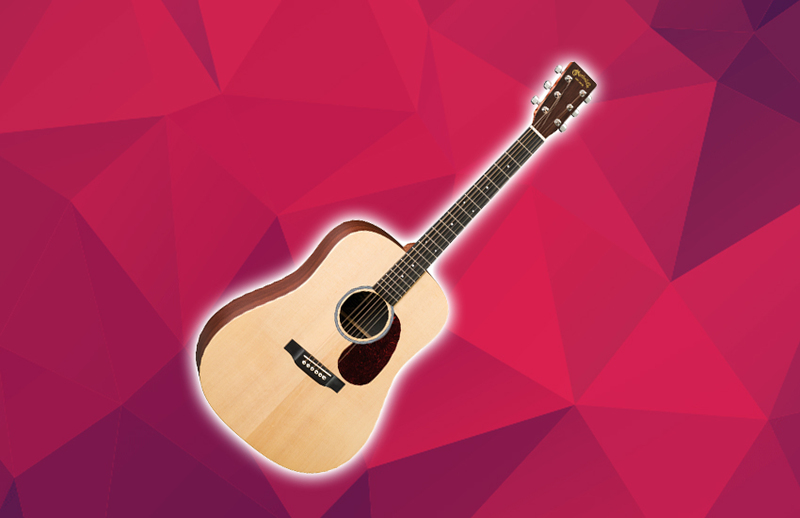 It’s a part of our recommended best left-handed acoustic guitars. But today, we are going to be looking at an acoustic guitar that has Martin’s name on it, plus the brand’s signature sound and quality, with an affordable price tag. 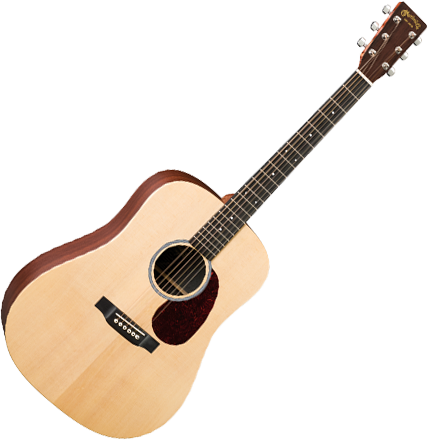 The Martin DX1AE is a dreadnought acoustic-electric guitar with D-14 body style and a cutaway. This guitar is known for its rich, dynamic sound and great looks, something that Martin offers altogether in its lineups. But is it worth every buck? The Martin DX1AE is part of the Martin X series. For the uninitiated, the model name is not just a random alphanumeric combination. The D means it has a dreadnought body style; the X means it comes from the Martin X series; the 1 means it is a basic acoustic-electric guitar with a standard A-frame; and AE stands for acoustic electric. The Martin DX1AE has a body that is made from a solid Sitka spruce and back and sides that are made from mahogany grained high-pressure laminate (HPL). The top looks so elegant with a hand rubbed finish. Inside the body is a non-scalloped X-bracing. The neck is made from a mahogany grained HPL. It features a performing artist neck profile and a standard set of tuners on the headstock. The fretboard and bridge are both made from Black Richlite. Connecting the neck and body in a solid way is a Mortise and Tenon joint. We have seen a couple of complaints about the build quality of the guitar. However, based on personal experience, this guitar is able to withstand a decent amount of abuse such as hitting the wall or any hard object. Dents and scratches may be there, but it is almost always given for a shiny object to get them. At the end of the day, you got to take care of something that is precious to you. The tonewood might be a little disappointing for the most part, the Martin DX1AE makes up for it through the sound quality. The solid spruce top, which is a bit thicker than most guitars in this range, helps bring louder and more bass to the sound. The chrome tuners are good to stand long enough without the need for constant re-tuning. The electronics placed in this acoustic-electric guitar are from Fishman, which helps in bringing out a decent amount on flexibility from the guitar, making it suitable for different performances. The Verdict: Should You Buy Martin DX1AE? The Martin DX1AE cost just under $600. In this price range, you get a signature Martin sound and craftsmanship that is most coveted in the industry. If you are thinking about the choice of tonewood to be the biggest snag of this guitar, the tone and projection make up well for it. So that should not stop you from getting this impressive Martin guitar.